A Swift Labs account can be created both in a browser or within our Ezejump or Syncro mobile applications. 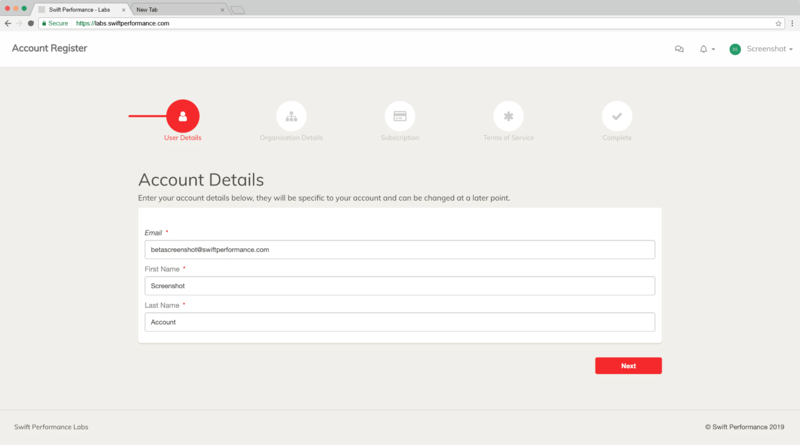 The following user guide will focus on creating a new Labs account within a browser. The first step is to head over to https://labs.swiftperformance.com where you will be redirected to login or sign up. 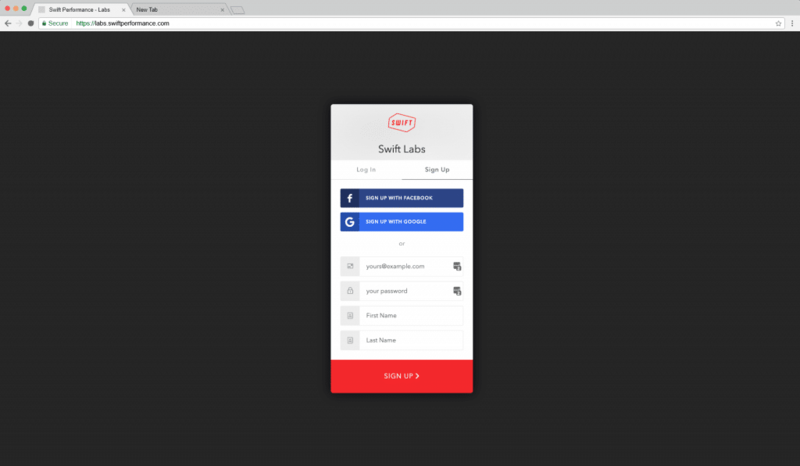 Swift Labs supports multiple methods of account registration including social integration with Google or Facebook. If you wish to create an account with either your Google or Facebook account, click on the respective button. If you do not wish to associate a social account, enter in an email and password with your first and last name and click sign up. You must login to your account with the same method as registered, your email will not transfer from a Google social login. After you have entered in the required credentials, you will be redirected to enter in additional details including the ability to change your name. The form wizard will step through various required details for your account. 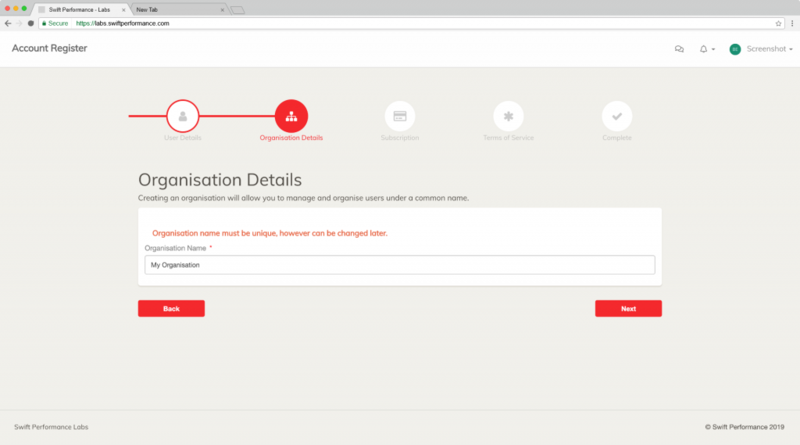 The next step in the wizard requires you to enter in an organisation name. The organisation name must be unique, however can be changed later. 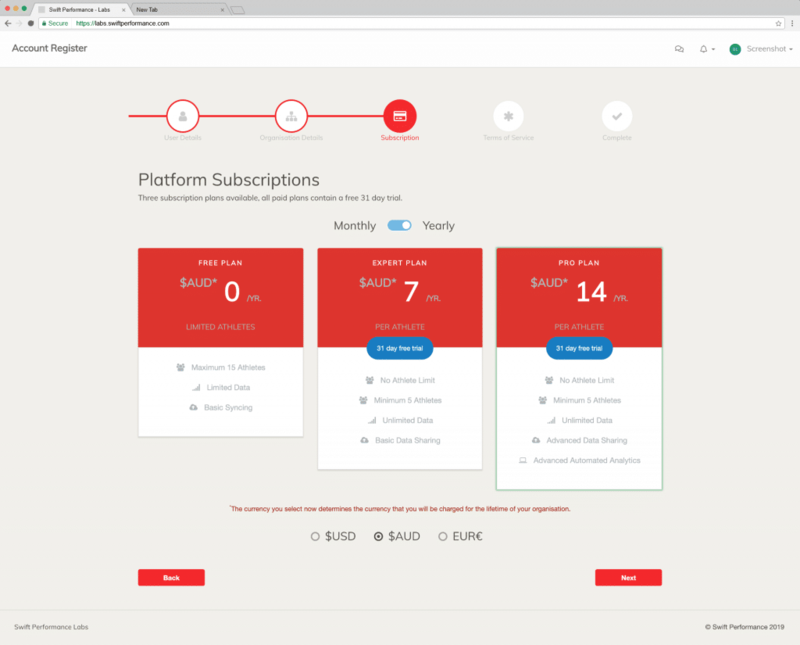 The next step requires you to select the desired subscription for your organisation. You can select a monthly or yearly billing cycle, with three available currencies to choose from including the US dollar, Australian dollar and the Euro. All paid plans include a 31 day free trial which can be cancelled at any time. It is important to note that a currency is associated with your account for the lifetime of your account. If you select the Australian dollar, all subscription plans will be shown in the Australian dollar. The final step requires you to accep the Terms and Conditions for the platform. 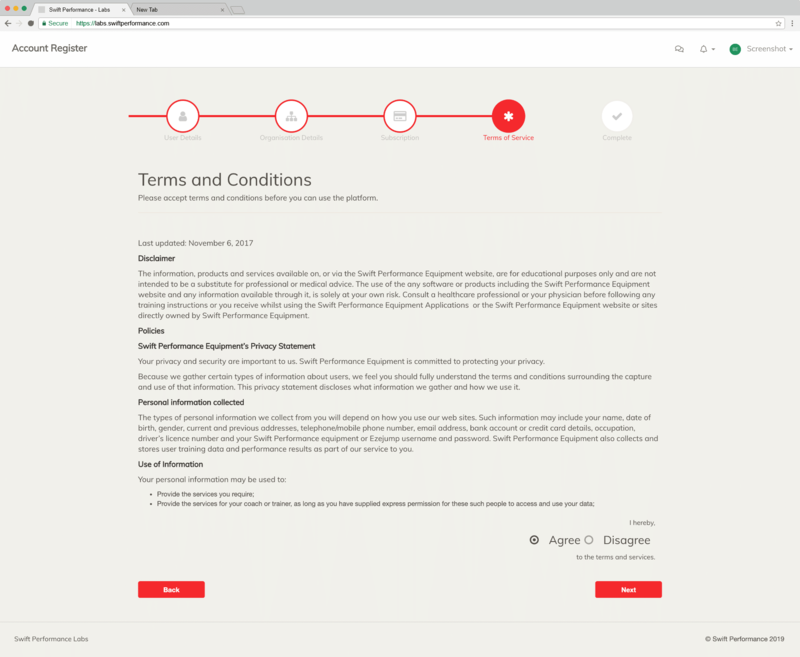 After accepting the Terms and Conditions you will be redirected to the application dashboard.